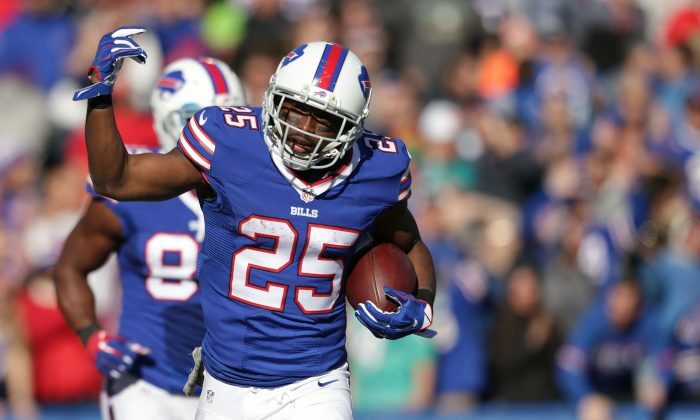 Buffalo Bills star calls allegations "totally baseless"
Buffalo Bills running back LeSean “Shady” McCoy was accused of beating his girlfriend, his son, and his dog, according to an Instagram post from the friend of the alleged victim. Delicia Cordon’s friend posted the photo Tuesday showing a woman with a bloodied face, cuts, and swollen eyes. ESPN reported that the NFL is reviewing the matter. Police in Milton, Georgia, said in a statement that they are investigating an early morning home invasion near Atlanta that left an unidentified woman to the hospital with injuries. A second woman was injured in the incident, police said, without elaborating. The photo posted by the friend of his girlfriend was taken down. The friend later claimed was done at the behest of a lawyer. The Buffalo Bills said that they have spoken with McCoy. “We will continue to gather information,” the team added.